MongoDB Data Masking from DataSunrise is a special tool intended to protect a database against data leaks and to make it impossible for unwanted users to read information from a MongoDB database. This is achieved through static and dynamic obfuscation. Data Sunrise Data Masking for MongoDB databases replaces real data in the database with random signs and values, thus making information impossible to read. Sometimes companies are faced with the necessity to make their MongoDB database(s) available, for example, to testers or developers or provide access to a database to third parties for production and non-production purposes. All this increases the chance of the sensitive data in the database being compromised or leaked. By using DataSunrise Data Masking you can make that impossible. And that’s how it works. Database owners and admins can set up DataSunrise Data Masking rules for MongoDB databases. These rules are easily adjustable and can be changed any time. Data Masking tool intercepts all queried directed to your database, the queries are modified and when they reach the MongoDB database, the requested information is already masked. In the result, unauthorized users can have access to the database for specific purposes (QA, application development, analytics, statistics, etc. ), but are unable to see the sensitive and confidential information contained in it. DataSunrise Data Masking for MongoDB can obfuscate data both dynamically and statically. MongoDB Dynamic Data Masking means that data is obfuscated on the fly and unwanted users get unclear or masked query result. 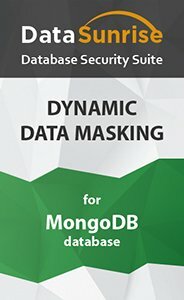 MongoDB Static Masking from DataSunrise creates a fully-functioning copy of the MongoDB database with sensitive data masked according to preset masking rules. In case a masking rule is triggered SMTP or SNMP notifications can be set up to inform the database security team. In the result, real confidential information in MongoDB databases always remains confidential and intact as only authorized users have access to it. As it was mentioned earlier masking rules are easily adjustable and flexible but effective at that. Also, Data Masking is a prerequisite for being compliant with sensitive data protection regulations such as GDPR, SOX, PCI DSS, HIPAA, etc. DataSunrise is a reliable supplier of MongoDB database protection solutions!